If you are looking for classic comfort food, look no further! 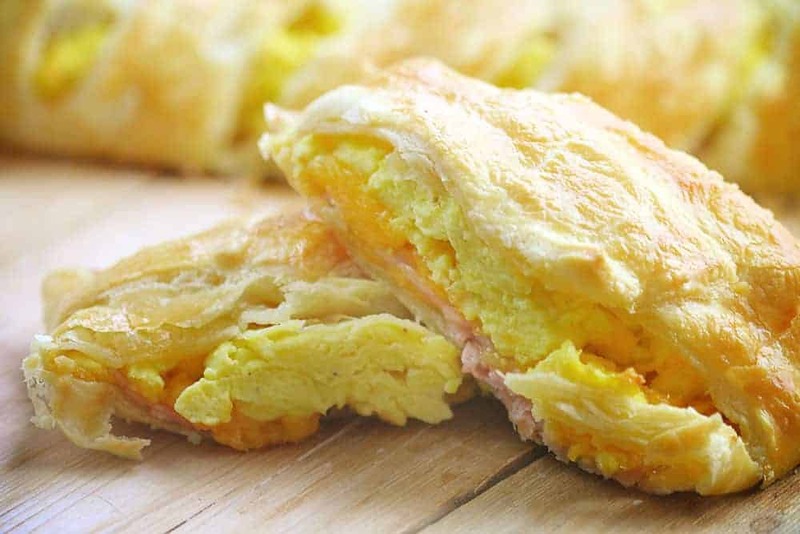 This easy breakfast puff pastry made with eggs, cheese, and ham is sure to impress! Breakfast is the most important meal of the day at our house. We love to start our day with a hearty, filling, and healthy meal. Any egg variation will do for us, but this one is a fan favorite. What is not to love?? Whatever you do, make sure to pre-slice this breakfast puff pastry before serving. If you leave it up to your hungry eaters, they’re going to cut more than their fair share, leaving you to break up the fight in your kitchen! Here is a fair warning, this breakfast puff pastry will fly off the plate. You will be surprised how fast it goes. With a cheesy, savory, and hearty filling encased in a flaky pastry, you really can’t blame them. Want to know a secret? We use buttermilk and cornstarch in our eggs. I know, it sounds crazy, but just trust me. Here is the recipe for Country Buttermilk Scrambled Eggs. It is so light and fluffy and adds amazing texture and flavor to this dish. 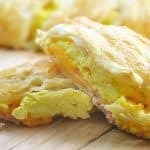 You don’t have to use this recipe for your breakfast pastry, any scrambled egg recipe will work. 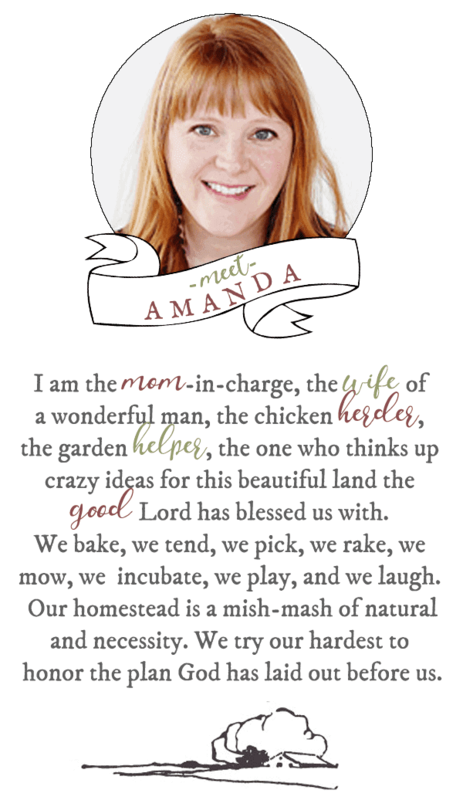 Feel free to get creative and add your favorite veggies and varieties of cheeses. We like to dress it up western style with some diced onions, mushrooms and peppers. You can also swap out the ham for crumbled sausage or even bacon. This puff pastry breakfast recipe is so versatile! What do you serve with this Breakfast Puff Pastry? I can’t say it enough, our family loves breakfast. Any variation. To balance this recipe out, we like to serve it up with a little color. Check out my Rainbow Fruit Salad with Honey Lime Dressing recipe! It adds so much fun and flavor to the table! Can I make this breakfast puff pastry recipe ahead of time? The breakfast puff pastry can be filled and refrigerated for up to 8 hours before baking. Just wrap it tightly with plastic wrap. Remove it from the refrigerator 15 minutes before baking. Bake as directed above. Can I make this breakfast puff pastry recipe as a single serving? Certainly. Cut the puff pastry into 8-12 squares (depending on how large you want them). Evenly distribute the filling across the center of all of the puff pastry squares. Fold up the corners of each puff pastry square so they meet in the middle. Gently pinch together the four corners where they meet in the middle, and slightly flatten the filled pastry so it makes a square, distributing the filling to the corners. Follow the recipe above from here. Can I make the Puff Pastry from Scratch? Marble Rolling Pin: I just love this pin, I even keep it on display in my cupboard. Pastry Wheel: You can also use these for cutting homemade pasta. This variation has a straight edge and a fluted edge. Pastry Brush: To get the perfect egg wash you need a good pastry brush. 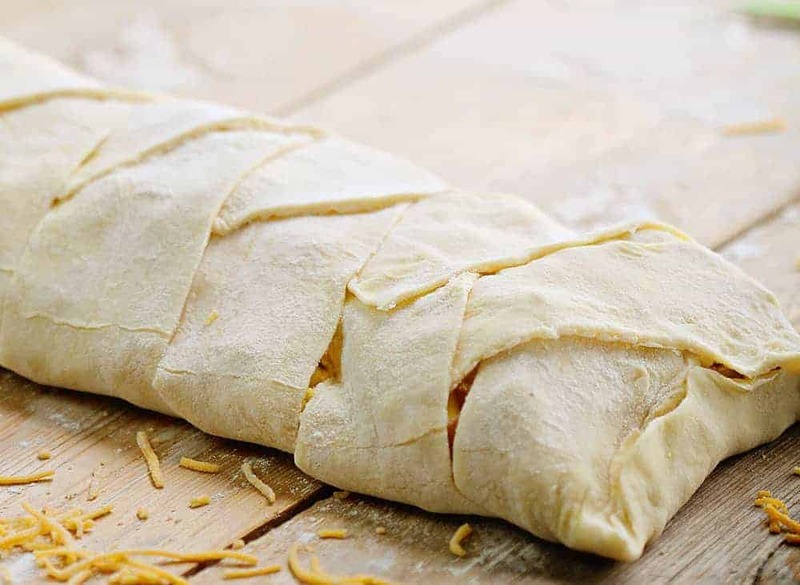 Generously dust your work surface with flour and roll out the puff pastry into a 14x14-inch square. Cut slits 1-inch apart from the outer edge to the fold mark on each side of the pastry sheet. Leave room for the filling down the center. Layer the ham down the center of the puff pastry. Sprinkle the cheese on top of the ham and top with the eggs. Brush the exposed puff pastry border with the egg wash. Starting at one end, fold the pastry strips over the egg mixture, alternating sides, to cover the mixture. Transfer the breakfast puff pastry to the prepared baking sheet. Brush the entire puff pastry with the remaining egg wash.
Bake for 20 to 25 minutes until puffed and golden brown. Did you Make Breakfast Puff Pastry? Looks delicious. I’m going go make this. Turned out great! But roll out pre-made pastry sheets a bit because it’ll be a little thick on top and you want it crispy.